The world is changing. Work is changing. And so must Human Resources. The future of HR is to become radically human and to embrace all the opportunities that are offered to tackle tomorrow’s challenges. Being radically human does not mean becoming soft. It means that HR professionals return to the essence of their profession and that they use everything we know about how people function to design the context people need in order to thrive. people-oriented and turn back to the essence. during events, workshops, and training days. To forge a community of HR professionals and CEOs around the human side of organisations, to facilitate the development and exchange of cutting edge and hands-on solutions. To set up a series of learning processes tailored to the needs of the HR community. The Solvay HR Circle is made for HR professionals and other business professionals who are keen on building people-centered organisations to increase effectiveness. As part of your annual membership in the Solvay, it will be our pleasure to invite you to participate in one full day event and three half-day workshops and networking events. The upcoming dates in 2019-2020 are listed below. New topics for the next workshops will be proposed and confirmed during the roundtables with HR Circle members that conclude each workshop. We aim for full open dialogue between faculty, researchers, and HR professionals so that we make sure to present insights and best practices in topic areas of actual current interest to HR Circle members and their organisations. 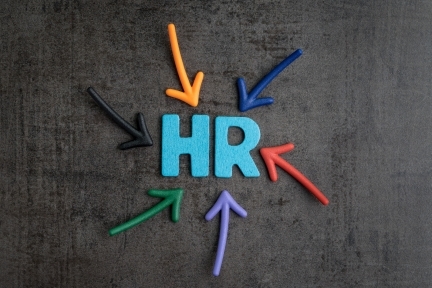 Membership in the HR Circle allows you to benefit from full HR training days that Solvay Executive Education organises within its HR Practice. The upcoming training sessions to which you can register are listed below, and are geared towards strategic HR executives and generalists, general managers, CEOs, entrepreneurs. With 25 years of experience in people strategy and leadership under his belt as CHRO, business leader, trainer and keynote speaker, David helps leaders and organisations grow and achieve their targets. Engaged, competent and healthy people make the difference. David also focuses on setting up platforms that help people connect and share experiences and ideas, and is co-founder and president of hrpro.be, the first national Belgian Association of HR Professionals. With a Ph.D. in Social Psychology from Grenoble University, France, and postdoctoral studies and research at Columbia University and Université Catholique de Louvain, Claudia is part of the ULB-Solvay core faculty. She teaches courses in Organizational Behavior and Leadership, Management of Diversity and Multiculturality, and Negotiation Skills. Her research interests lie in the field of judgment and decision making, more specifically investigating information processing in group decision-making, leadership judgment, and the management of diversity. Hermina obtained her Ph.D. in psychology from the Katholieke Universiteit Leuven, where she stayed on as a post-doctoral researcher for two years. Her thesis focused on emotions, personality and behavior in the workplace. 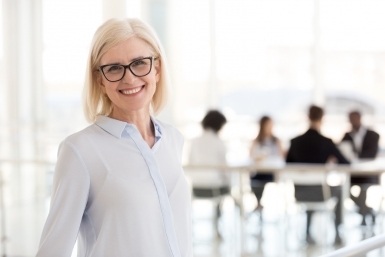 The research topics in which she specialises run the gamut from retirement, older employees, making ‘working longer’ more attractive, talent management to the new way of working, and motivation. She often teaches and delivers keynotes at KULeuven, UGent, UHasselt, HUB, and Solvay Executive Education. Kurt capitalises on more than 15 years of experience as HR Director at the Belgian Ministry of the Interior, the Belgian Ministry of Finances, and Belgocontrol-Skeyes in his approaches to the strategy and transformation of organisations. In his work as a guest and keynote speaker, he provides a much welcome take on strategic HR policies and approaches in the public sector. Cedric is co-founder and a key member of the R&D team and Ghent University spin-off VIGOR, focused on understanding, predicting and changing people's behavior at work. Through the lean collection, evaluation and integration of the best available scientific knowledge (reviews) and field data (analytics, field experiments), he and his team support executives and policy-makers in evidence-based decision-making, to help them to increase the success rate of their management decisions or policy-making. He is equally involved in the development of innovative tools (e.g. psychometric tests, training protocols, serious games) to help businesses and organisations bring out the best in their people.